Making it rain black truffle shavings! They say that diamonds are a girl’s best friend, and if we want to live by that truth, surely Norcia’s “black diamond” truffles are bosom pals with our tums. Not to be outdone by their fungal cousins, Umbria’s most valuable gastronomic commodity follows hot on the heels of Alba truffle season and has found itself quite at home in the kitchens of DiVino Group’s restaurants, where Executive Chef Michele Senigaglia is leading the charge in celebrating black truffle season. 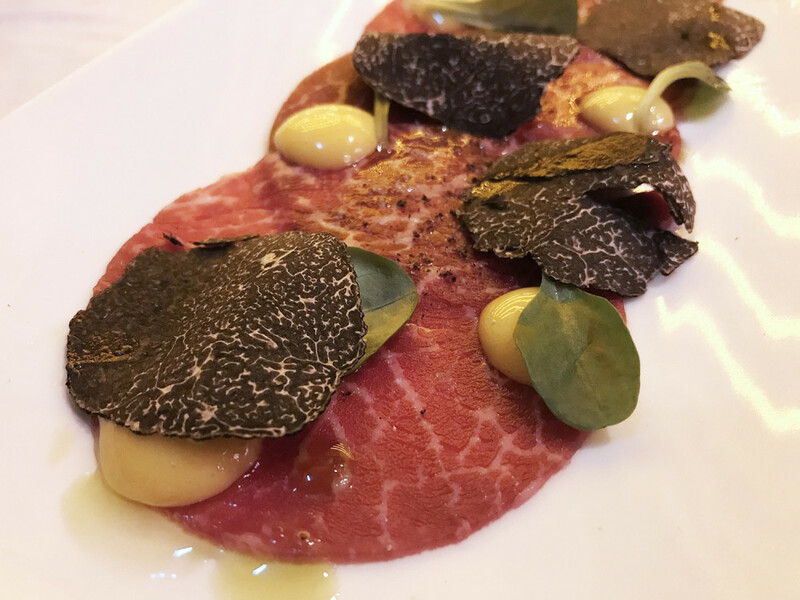 DiVino Wine Bar & Restaurant, DiVino Patio, Spasso and Carpaccio are all presenting limited-time Norcia black truffle menus (until 31 March 2019) featuring these earthy gems. DiVino Wine Bar & Restaurant’s regular beef carpaccio – served with rocket salad, Parmesan shavings and sun-dried tomato – is already impressive enough, but truffle lovers will love this iteration, topped with delicate black truffle petals and dotted with mache salad and a silky cream made of the yolks of slow-cooked, 63ºC eggs. Paper-thin slices of premium Angus beef were the perfect vessels to absorb the drizzles of Ridolfi extra-virgin olive oil, a tangy, small-batch producer from Siena that gave the carpaccio an exquisite and rustic touch. 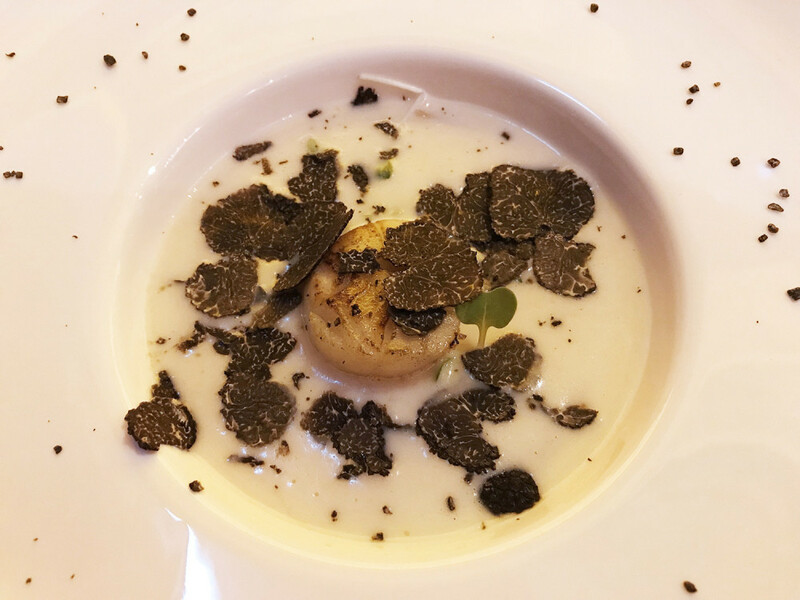 This dreamy velouté on DiVino Wine Bar & Restaurant’s truffle menu lived up to its velvety name. 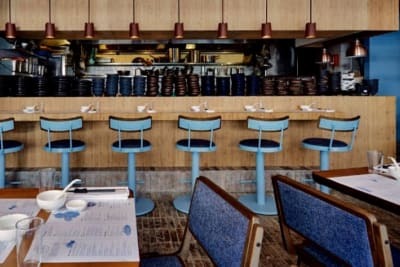 Like a resplendent blanket, it coated every bite of plump diver scallop and Zolfini bean – a rare Tuscan legume that is exceptionally firm and meaty – while dices of salty pancetta and slivers of truffle provided contrasting, flavourful depth and playful texture. Few things pair as naturally as shaved truffle and risotto. Chef Jery at DiVino Patio found culinary inspiration amongst the Italian classics with this recipe, but added a particular twist with the use of Acquerello rice, a unique type of Carnaroli rice aged in a silo for up to a year to create an extra sweetness in the grains, resulting in a creamier, starchier risotto. 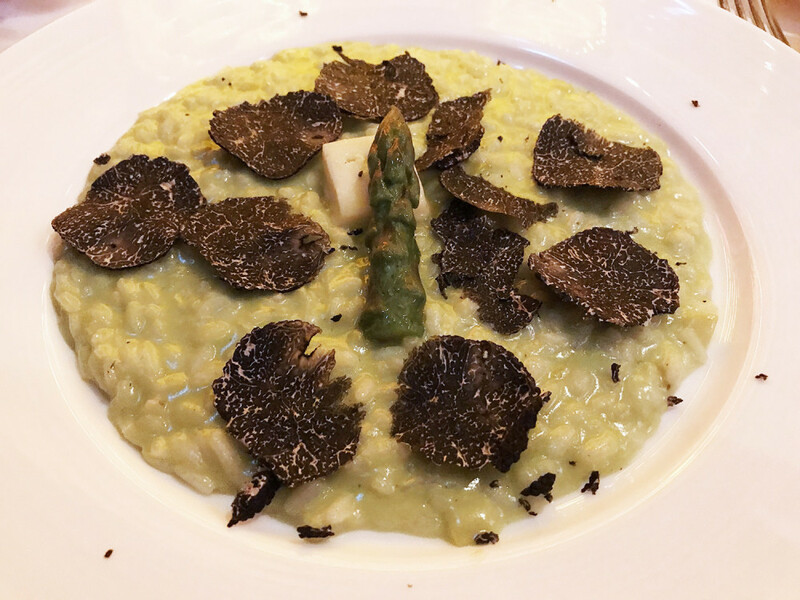 A dab of Taleggio cheese here, some asparagus stalks there, a generous amount of shaved Norcia truffles to top it off – we had ourselves a mouth-watering, richly perfumed dish that hugged our taste buds with every spoonful. Truffles that bear any physical flaws (i.e., those that are chipped or broken) are sold for much cheaper than solid, visually perfect chunks, even though the quality is unaffected. 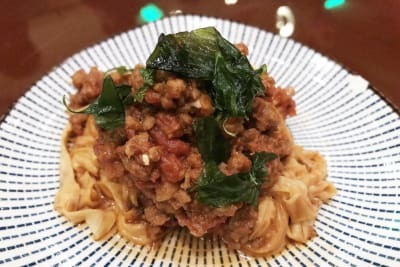 If it ain’t broke, don’t fix it, and if the pairing of beef and truffle is a match made in heaven, why not do it again? Keeping it simple, as the Italians do, tagliata in its purest form consists of just three ingredients: beef, black pepper and a hard cheese. But you know what would make it even better? That’s right: shavings of black truffle. 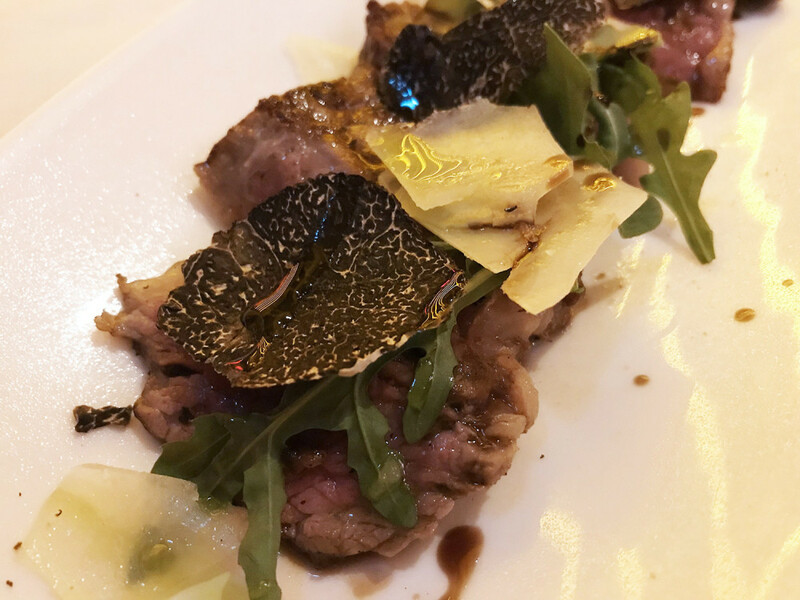 We got a little more than we bargained for, as DiVino Patio’s tagliata comes as a spread of grilled North American beef sirloin, blanketed with shavings of Pecorino di Grotta – a remarkable musky cheese matured in the humidity of natural caves – and Norcia truffle, plus rocket leaves for a little extra colour. Simple but divine. 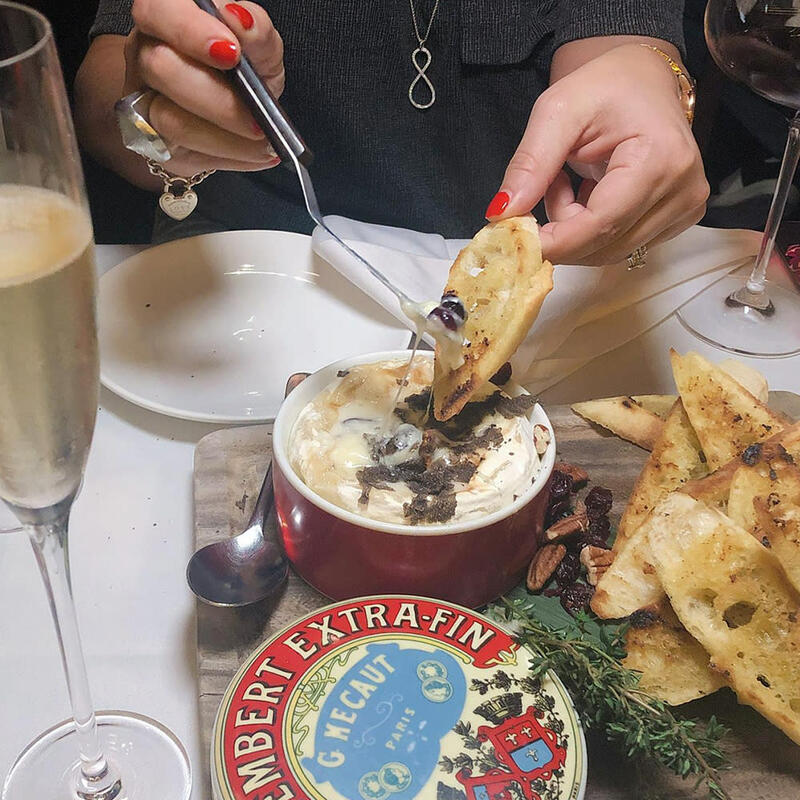 Another dish on DiVino Patio’s truffle menu, the oven-baked buffalo-milk Camembert would be an indulgent way to finish off a meal. Scented with fresh thyme and topped with black truffle for an earthy edge, the Camembert is served with almonds, raisins and plain bruschetta for dipping. We recommend sharing this one – it’s intense, sweet in flavour and quite heavy on the palate.